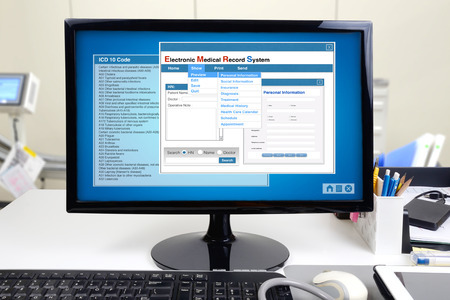 The Department of Health and Human Services’ Office of the National Coordinator for Health Information Technology (ONC) has announced the winners of its Easy EHR Issues Reporting Challenge. Currently, reporting EHR safety concerns is cumbersome and causes disruption to clinical workflows. A more efficient and user-friendly mechanism is required to allow EHR users to quickly identify, document, and report issues to their IT teams. Fast reporting of potential safety issues will allow the root causes of problems to be found more quickly and for feedback to be provided to EHR developers rapidly to ensure problems are resolved in the shortest possible timeframe. The aim of the challenge was to encourage software developers to create solutions that would help clinicians report EHR usability and safety issues more quickly and efficiently in alignment with their usual clinical workflows and make the reporting of EHR safety issues less burdensome. 1st Place and $45,000 was awarded to James Madison Advisory Group, which developed a unique solution for documenting and reporting potential EHR safety issues. The tool can be launched using a system tray icon or hotkey without exiting the EHR workflow. The solution works on Windows 8 systems and above and all EHR platforms. The software tool exports data in the HHS Agency for Healthcare Research and Quality (AHRQ) Common Formats XML and PDF, can capture screenshots, and simplifies report delivery. 2nd Place and $25,000 was awarded to Pegwin which developed a software platform that clinicians can use to create and send safety and usability reports with three clicks of a mouse. The solution has an intuitive design, uses contextual menus, and automates Common Formats reporting as far as possible. 3rd Place and $10,000 was awarded to Jared Schwartz and his team for developing a Google Chrome plug-in that integrates with IT ticketing systems. The plug-in allows more consistent capturing of EHR safety issues.